We had the opportunity to Goa in January 2015 to attend our friend’s daughter’s wedding. It was exciting to enjoy Goa’s beach and experience very differed culture. I saw SAC hostels’ list and discovered that Goa has girl’s hostel called “ Matru Chhaya” and newly built boys hostel too. 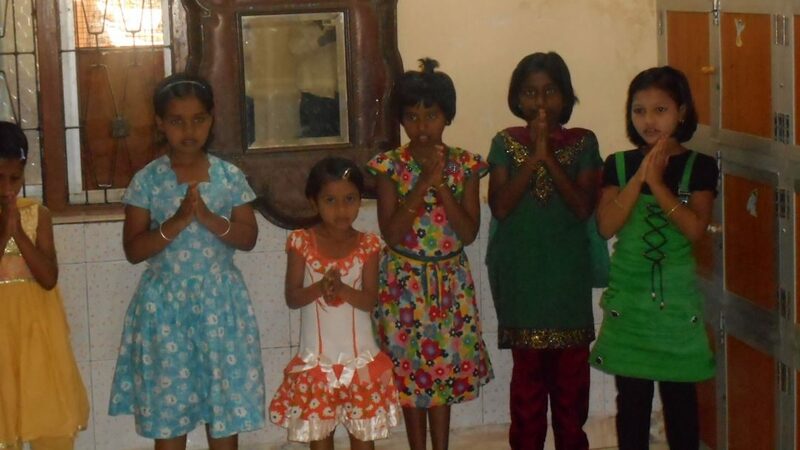 US SAC program has been supporting some girls in Goa. Upon our request to visit the hostels, GOA VHP team was very helpful and excited. Their volunteers took us to the hostel; it was state of the art hostel both in terms of facility and atmosphere. There are 80+ girls from ages one-day-old to 16 years, living together under one roof. Girls go to near by schools and share a big hall to stay together. Each girl has one bed, one cupboard. Kitchen and restrooms were very clean. This hostel was unique in the sense that we even saw a one-day old baby girl. The hostel has a cradle at the door and sometimes mothers with no other options, leave their newborns. Goa is tourist hub and therefore it has a huge problem of adultery and unwed mothers. Shanta Durga Mandir also supports this hostel. Under the leadership of Shri Madhukar Dixit ji all SAC hostels are running very well.